Each spring the Western Massachusetts Master Gardener Association hosts three symposiums to help gardeners of all abilities expand their gardening knowledge and skills. Workshops cover ornamental gardens, vegetable gardens, backyard fruits, garden design, composting, insect identification, attracting pollinators, gardening with native plants, and the list goes on. If it's a topic of interest to local gardeners, there's sure to be a workshop on it at one of the three symposiums! In addition to a dozen or more workshops, symposiums may have keynote speaker, a marketplace with locally produced offerings, book sales, raffles, pH soil testing, and of course refreshments. 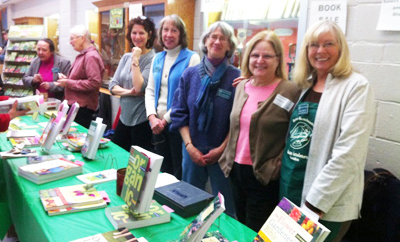 Information on the Spring Gardening Symposiums is posted on our website and Facebook page in early February each year. Join our mailing list and we'll send you an email when the symposiums' dates and listings of their workshops are available.